The month of February 2011 We can say that it is the month of Blake Lively without a doubt. 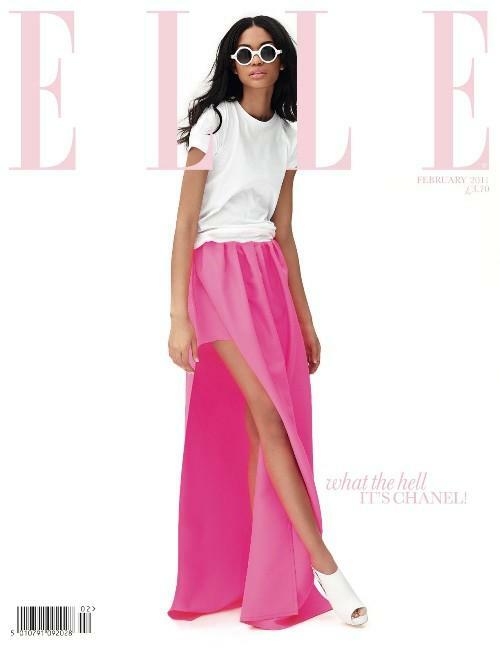 Neither more nor less that is the protagonist on three covers of fashion magazines of the world. First met in Elle Japan, most evening saw the light the of Cosmopolitan Australia (cover with much controversy thanks to its employees ‘small’ tweaks with the) Photoshop) and now we discover the of Marie Claire Mexican version. The blonde more in, more posh, cool and glam of the Big Apple poses of the most sensual for the Latin American publication. Although comparisons are odious, this is the best cover of the three shown, since it looks to the Blake Lively We all know. In it we can appreciate its true beauty and resembles more the person that we are accustomed to see: see the Elle actress of Gossip Girl with a too-sport look. But this month also brings us the new cover of Nylon Korea. And would you guess who stars in it? Effectively, Leighton Meester. And is that the girls in this series so followed us demonstrate, once again, they are the girls fashion. The first by its innumerable works in magazines, and the latter by its recent collaboration with the Italian firm Missoni, the premiere of his movie ‘Country Strong’ next to Gwyneth Paltrow or being protagonist of Seventeen, the magazine Fashion magazine and this Korean version of Nylon. In it we see a Leighton uninhibited with a simple home. Under a white background, Leighton is the absolute protagonist. Its striped skirt is taken from the collection spring-summer 2011 of Prada, where are impossible mixes showing that they are possible. With what you stay home?